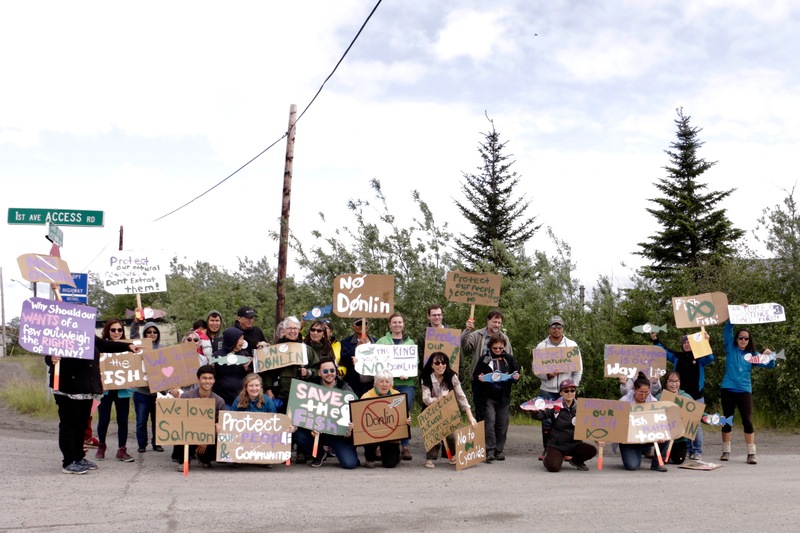 The Orutsararmiut Native Council held their first public demonstration against the proposed Donlin gold mine on Friday, becoming the first tribe to do so in Yukon-Kuskokwim Delta. The mine would be built in a region where many residents practice subsistence and would be one of the biggest gold mines in the world once completed. Evon Waska, an elder who marched on Friday, says that the mine has no place in the Yukon-Kuskokwim Delta. “The subsistence way of life is too important, and the Kuskokwim River provides us with food, and that Donlin gold mine is not the place to have it here on the Kuskokwim,” Waska said. Waska joined 30 other marchers from the tribe and Bethel community who want to protect fish from what they say are the dangerous impacts of the proposed gold mine. ONC has voiced concerns through public comment for the mine for a couple of years, but plans to protest fell by the wayside with the death of its natural resource development director, Greg Roczicka, last year. Peter Evon, ONC’s Executive Director, says that the mine’s possible risks outweigh any potential benefits. “Obviously jobs are very important in the region, but I don’t think there’s a risk we should take of any kind,” Evon said. The proposed mine would increase barge traffic on the Kuskokwim River, which is the source of the Y-K Delta’s subsistence activities. Salmon and smelt, a smaller fish that comes in the late spring, could be significantly impacted by the increased traffic. Other concerns include the impact on water quality and possible air pollution from mercury released from rocks during mining operations. But Donlin has touted the job growth it could bring to the region, and has held multiple public hearings on the project as it goes through the permitting process. 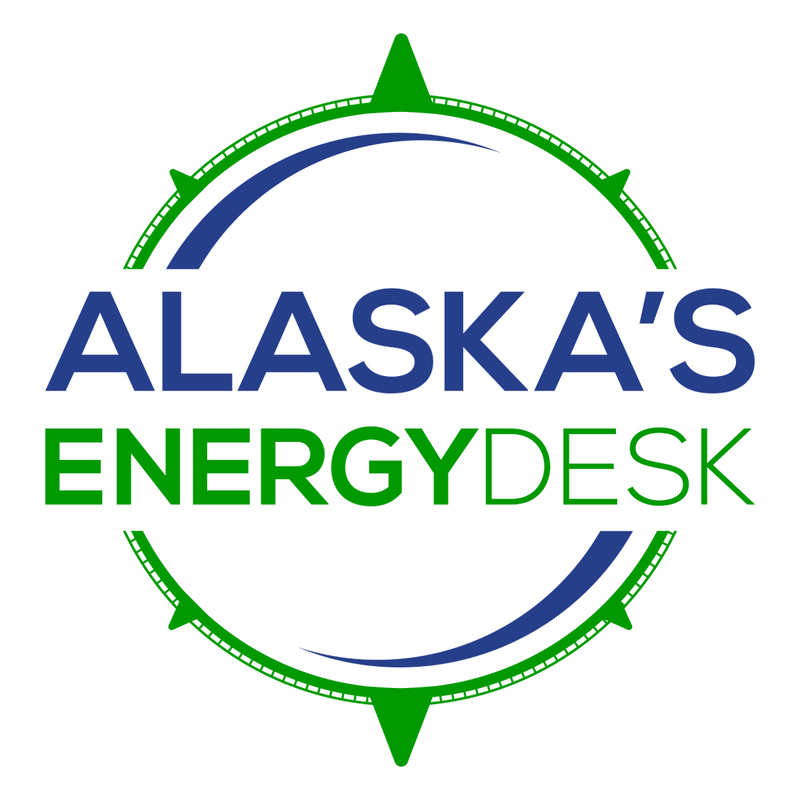 Donlin spokesman Kurt Parkan says that the company has worked very closely with Calista Corporation and the Kuskokwim Corporation, which own the subsurface and surface rights respectively, to develop the mine responsibly. But individual tribes may not agree with Calista and TKC, and Parkan says that’s expected. “That’s a tough question to answer because I think it’s not possible to get unanimous support on any subject in favor of something or against something,” Parkan said. Walter Jim, the president of ONC’s board, didn’t attend the march, but he told KYUK later that his tribe’s responsibility is to protect its lifestyle from any threats, even if that threat could bring some economic relief. “My belief is that every tribe’s responsibility is to protect that tribe, and part of those protections is the subsistence way of life. And we see Donlin’s development as a threat to the subsistence of the river,” Jim said. Jim says that they are reaching out to other tribes along the Kuskokwim to join in the fight against Donlin. He says that there will be more demonstrations down the road. Meanwhile, Donlin is plugging through the permits it needs to start the mine. The company says that it expects to get most of its major federal and state permits this year. The Army Corps of Engineers is expected to come out with its joint record of decision in mid-August. A public comment deadline for a state water quality permit is looming; comments are due July 13. That permit basically ensures that any placement of fill or trash from mining will not degrade water quality in Crooked Creek. Parkan says that Donlin is not going to put fill or waste from mining into Crooked Creek. Tailings and waste will be placed in a tailings dam or waste rock facility.